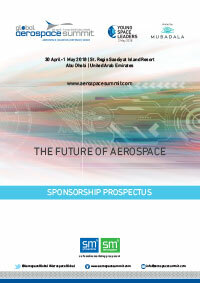 The Global Aerospace Summit is about partnership. It brings you together with the highest level leaders of the world's aerospace industry. For organisations looking to be fast and responsive to new opportunities for growth and investment the Summit is a key promotional platform. It allows you to showcase your commitment to the ongoing development of the industry. Supporting partners position themselves and their brands directly in front of the most influential decision makers in the sector. The seniority of attendees at the Global Aerospace Summit means you get direct and personal face-to-face access to the decision makers. It is an opportunity for you to educate them about the possibilities your products and services offer their business, and how you can help them build their future success. Your business development teams will be getting high quality, decision making leads. For more information on how you can be involved in the Global Aerospace Summit please email alex@smg-online.com or call us on +971 4 447 5357.